Welcome Home came out in January 2010 and the reviews were STELLAR!! The album debuted on the International Folk DJ Chart in January at #3 and was #38 for the year internationally. Get your copy now. 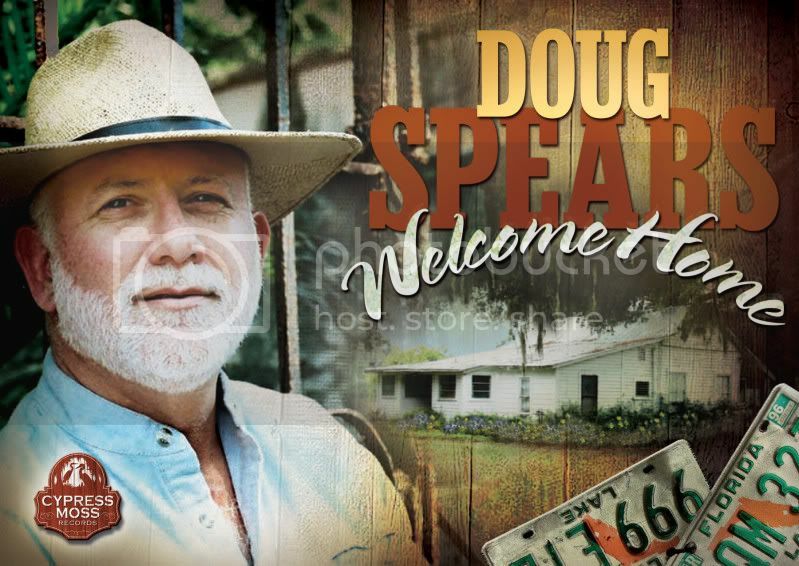 or send check or money order to for $15 to Doug Spears, 36 Interlaken Road, Orlando, FL 32804. This 2011 8 song collection was recorded primarily at Gatorbone Studios with my good friends Lis and Lon Williamson and was mixed and mastered by my main man. Ron Litschauer at Acoustic Music Productions. The playlist includes When the Hummingbirds Return, I Wish, Two Graves, Crescent City Lament, There's Always a Middle, These Rocks, As the Crow Flies and Sinner's Song (with Rob Ickes on dobro). This one's not yet available through CDBaby, but you can get it directly from me by sending $10 by check or money order to me at 36 Interlaken Road, Orlando, FL 32804 or send me $10 by PayPal using the Buy Now button below. Either way, make sure you tell me where to send it.